Cras interdum nunc ut dolor consectetur laoreet. Donec vel venenatis est. Pellentesque id diam facilisis, volutpat nibh sed, ullamcorper est. Nullam orci purus, lacinia vel lobortis ut, gravida a risus. Integer at est iaculis velit malesuada congue. Nullam tempor non lectus nec aliquet. Vivamus iaculis pharetra ligula quis dictum. 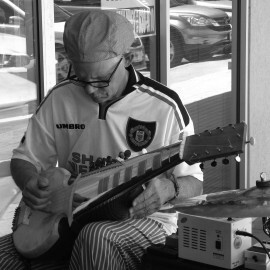 Dan’s guitar playing is an eclectic blend of everything he has listened to and studied – jazz, rock, world music from other cultures and countries – youll find it all in his playing. 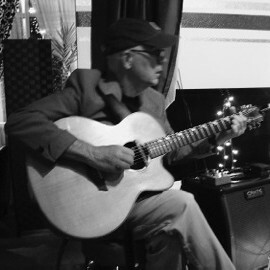 James Sallis, in the book THE GUITAR IN JAZZ writes, Dan Lamberts playing is highly individualistic – sometimes relaxed and in a groove, often full of stabbing odd turns – and immediately recognizable. 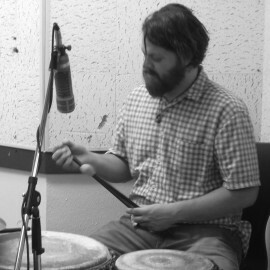 Ricardo Amaya was born in Mexico City, and started playing bongos in 2001. The day he first picked up bongos, he had a gig on them that night! 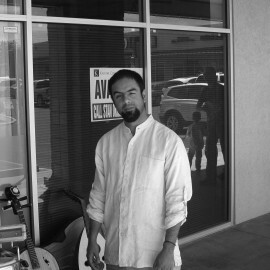 He was swept up in the African percussion movement in Mexico City, and brought that enthusiasm for West African drumming with him when he moved to Juarez, and eventually El Paso. 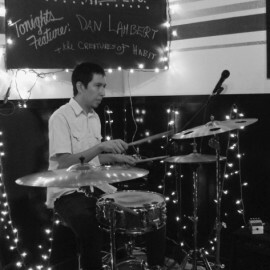 He met El Paso cinematographer Steve Osborne, also a drumming enthusiast, and was introduced to the emerging local African drumming scene, meeting future Double Drum Trio co-percussionist Erik Hickerson. Ricardo is also an accomplished photographer, specializing in commercial work. His website is Ricardo Amaya Photographer. 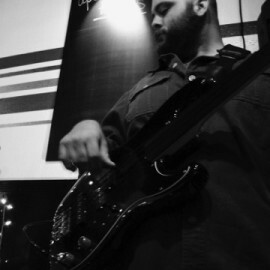 Erik Hickerson got his start drumming in rock bands in high school. Later he developed an interest in African drumming, playing with a drum group accompanying dancers. Ricardo Amaya eventually joined the troupe and Erik and he have been playing together ever since. Erik has become the final third of The Double Drum Trio. He also teaches African drumming and accompanies fire dancers in the troupe, La Flamilia.